Our very popular ‘Blockies’ course is on again in 2019. Owning a rural block gives you the opportunity to start an agricultural venture or hobby farm, maintain habitat for wildlife or create your dream living space. It also brings responsibilities to control weedy grasses, manage fire risks, maintain fences and manage vegetation and water resources. 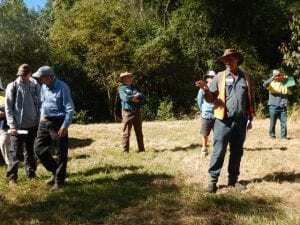 Over ten consecutive weeks, Gympie & District Landcare Group will provide an overview of common property managements issues in the Gympie region and introduce you to some local organisations. When: The first session will commence Wednesday 6 February 2019, however, click here for the dates and complete schedule of our 2019 Blockies’ Course. Sessions will commence at 9am and generally finish by 12.30pm, although sessions involving bus travel for field trips will require an earlier start. Where: Some sessions will use the facilities at the Gympie & District Landcare Nursery at the corner of Groves Road and Old Maryborough Road. 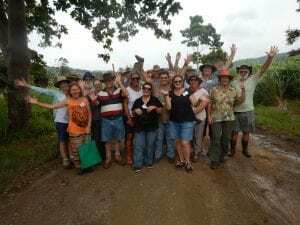 Four sessions will involve bus travel to a variety of field sites and these sessions will depart from Gympie & District Landcare at 8.00am and return no later than 12.30pm. One of the bus trips may leave a little earlier and return a little later due to the travel distance from Gympie & District Landcare. Members: $10.00 for classroom sessions, $25.00 for field trips. Non-Members: $12.00 for classroom sessions, $30.00 for field trips. Morning tea and cold drinks will be provided at each session and there will be toilet facilities on the bus for field trip days. Field trips: You will travel by bus in air-conditioned comfort. As field sessions may involve walking up to 500m through paddocks and wooded areas, walking shoes, long trousers, hat, sunscreen, and a water bottle are recommended. Participants must have the capacity to walk through paddocks and stand for reasonable periods, however, walking will not be arduous nor on particularly steep grades. Feedback from the 2018 course identified field trips as the biggest highlight of the course. Presenters: The program will be delivered by professionals, public servants and community members with specific knowledge in their field. 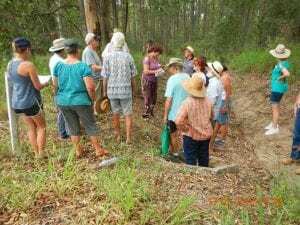 Many presenters have a rural block in the Gympie Region, bringing first hand experience of managing a property. In addition to the structured learning sessions, participants have the opportunity to share experience with people in similar situations and to discuss concerns with the presenters over morning tea breaks. Payment: To register for our 2019 Blockies’ Course, please contact us on (07) 5483 8866 to confirm your place, or Click here to book. Casual or “one-off” sessions will be possible if space is available, however, priority will be given to people choosing to register for the full programme.